Are you considering moving to Madera in central California? Hopefully, this article would provide some information to help you decide. Madera’s population is about 60,000, and the mix of people is mostly white and hispanic. There are many migrant workers in the area too, because Madera is in the Central Valley, where there are many farms and crop fields. In July and August, the temperatures are generally in the 90s, but they can be higher. In January, the daily temperatures are in the 50s, and can dip below 40 at night. Of course, the rest of the year the temperatures range in between. One of the main reasons to think about moving to Madera is the more affordable housing and lower cost of living. The median home value there is about $200,000; in San Francisco this figure is about one million and in LA it is $610,000. In Madera, there are small houses which are less than $200,000 — some are $150,000 and lower. The average rent in Madera is about $770 per month. Land is also much cheaper in Madera than in the larger metro areas, so if you want a couple of acres or 10, you might be able to find a parcel. By having your own land, you could start a garden and grow your own food. If you have animals, they would have much more room to move around. Children would also have more space to play in and not be cramped in urban density. 2300 Howard Rd, Madera, CA 93637. So, moving to Madera would be a big advantage if you were looking for affordable housing. Moving to Madera might also appeal to people have who have been offered a new job in Fresno, but don’t want to live in the urban density. Madera has a population of about 60,000, whereas Fresno is about 509,000. Madera is about 25 miles north of Fresno, so if you wanted to live in a small town, you could commute to Fresno. Because there are many farms around Madera, you can find fresh produce. Some of the places to visit are Chiarelli Farms, Marchini Farms, and Summer Peck Ranch. The land around Madera is flat–some might call it boring, but it also within a 1-hour drive of the Sierra and many forests and lakes.Bass Lake near Oakhurst is about 4 miles long where you can fish, boat, and swim. It is only 14 miles south of Yosemite, if that gives you an indication about the kind of country it is located within. Bass Lake is at some elevation and is surrounded by trees. Millerton Lake is slightly longer and can be used for recreation too, like swimming, waterskiing boating, and camping. It was made by humans, so the hills around it don’t have the same lushness like Bass Lake does. However, Shaver Lake is within Sierra National Forest and it is much more like Bass Lake. Shaver is at about 5,000 feet elevation. There is also a very small town at Shaver, with a population of about 600. Another attraction is Dinkey Creek, which is in the area and is a very quiet creek bounded by rocks and trees. Huntington Lake is another which is similar to Bass and Shaver, but is at almost 7,000 feet. Yosemite is a little over one hour from Madera by car, so if you like mountains, forests, streams, wildlife, open space, rock climbing, camping, fishing, hiking, and so on, you will probably like this area. Yosemite has 3-4 million visitors each year, and some come from other countries. The scenery, clean air, mountains, granite walls, hiking, and rock climbing draw many who enjoy the area very much. Yosemite Valley is the place where most of the tourists gather, but there are many places outside the valley which have their own beauty like Tenaya Lake. There other places too, like Saddlebag Lake and Tulomne Meadows that are beautiful, and less visited, so you can take in the experiences and scenery without having to deal with crowds. Tioga Lodge is another place to visit, which is a little more remote and you might notice you become more relaxed there. If you drive all the way through the park, you might be amazed to see how beautiful the mountains are as you travel down the highway south. In particular, the mountain peaks north of Bishop are stunning with their various colors and textures. Another thing is the fall colors in this area, which draw many visitors each year. Of course, there is also Mammoth for skiing and snowboarding in this same area. In fact, if you lived in Madera, you would be in striking distance of so much natural beauty, that it might seem unbelievable at times. Actually, Lake Tahoe is quite a bit closer, at about 262 miles or about 4 hours of driving to get to snowboard and skiing. In the other seasons, Lake Tahoe is great for hiking, boating, horseback riding, camping and so on. You can easily drive through Yosemite when there isn’t any snow to arrive at Lee Vining and Mono Lake. From there, you can travel south and find all sorts of beauty and points of interest. Lone Pine is about 122 miles, and this is where Budd Boeticher made many low-budget Westerns that have been respected through the years, though they were made decades ago. Madera has a local bus system, and there are Greyhound buses to Fresno for as little as $12.00. There is also a small local train station, where you can catch an AmTrak train. 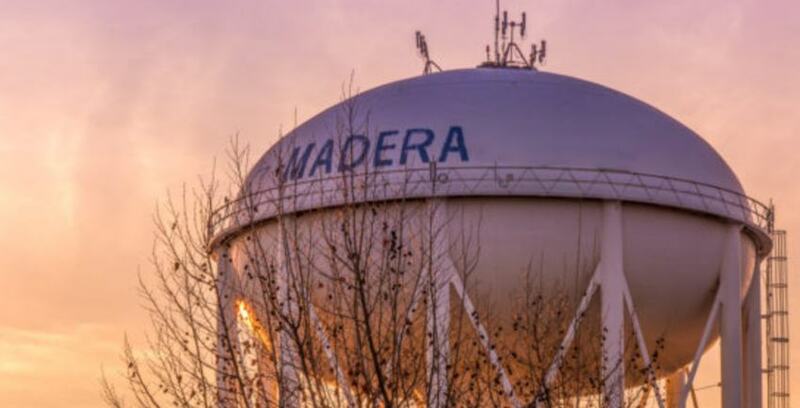 So, after learning about some of the good things about this small Central Valley town, does moving to Madera appeal to you? Madera residents tend to vote much more for Democrats than Republicans, which is typical for the area where they live. Moving to Madera could be a good choice for people who want to get out of a large urban area, and have a more relaxed life. Fresno to San Diego — 68 minutes. So, after reading this article are you still interested in moving to Madera?